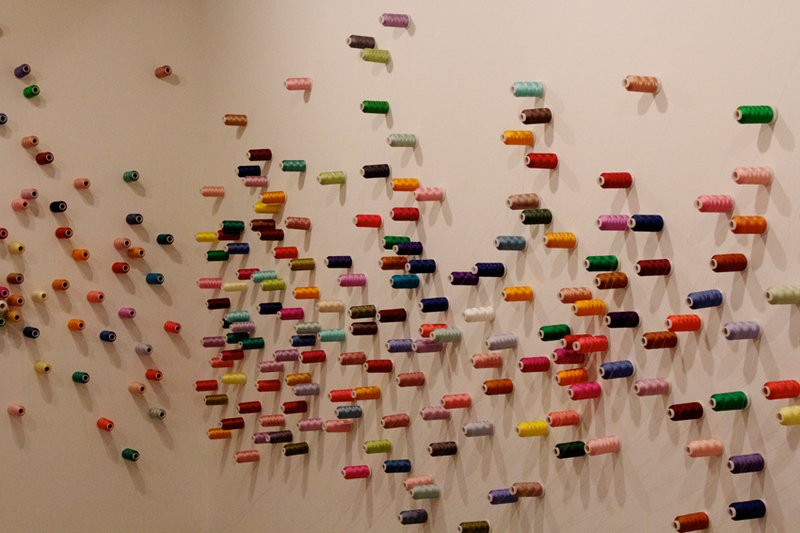 The project consists of an installation where the artist prepared a table, two chairs and colourful spools of thread. During gallery hours the initiator was welcoming visitors who could bring their damaged textile articles or clothes and what the artist while he mended the article. The mended textile was then placed on the table and visitors were invited to return to the galley to collect their objects at the end of the exhibition. The goal was to gain insights into the relationships among self, other and immediate surroundings. It also constituted an act of sharing between the initiator and a stranger. The articles were mended for free. Lombard-Freid Projects (2009); Liverpool Biennial (September 2010); 18th Biennale of Sydney (September 2012). Lee Mingwei, gallery and museum visitors.